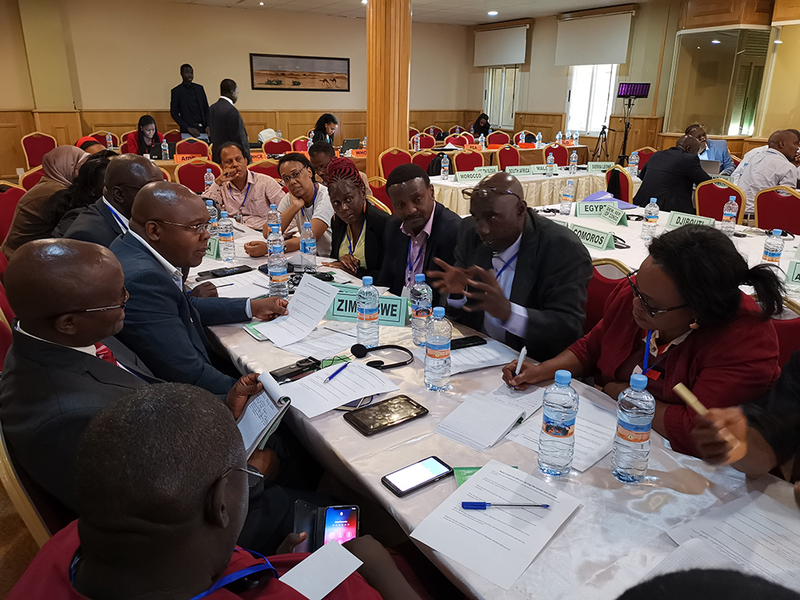 Nouakchott – Officials representing more than 30 African countries gathered last week (3-6 December) in Mauritania for two capacity building workshops on migration data and civil registration and vital statistics (CRVS). The workshops were jointly organized by the Government of the Islamic Republic of Mauritania, the International Organization for Migration’s Global Migration Data Analysis Centre (GMDAC), and the African Union Commission (AUC). The four-day meeting brought together experts from national statistics offices (NSOs) and civil registration and vital statistics agencies of African Union member states, as well as technical experts from the International Organization for Migration (IOM) and the AUC, to discuss ways to improve the collection and use of migration data. “References to collection of migration data are multiplying, as this information plays a crucial role in shaping development strategies,” said Laura Lungarotti, IOM Mauritania Chief of Mission, in her opening remarks. Marzia Rango and Elisa Mosler Vidal of IOM GMDAC guided the participants through migration data concepts, definitions and key sources, and introduced the growing importance of migration data in the context of the Global Compact on Safe, Orderly and Regular Migration and the Sustainable Development Goals (SDGs). IOM experts walked participants through the Global Migration Data portal, a unique access point for data and analysis of international migration, as well as the Displacement Tracking Matrix (DTM) a tool to track and monitor displacement and population mobility. The AUC elaborated on migration data and trends on the continent, underlining some of the work they are currently doing with the support of partners such as IOM, ILO, UNECA and UNHCR. These include the second edition of the Labour Migration Statistics Report; the new Migration Policy Framework for Africa and Plan of Action; the Joint Labour Migration Programme; and the Revised Strategy for the Harmonization of Statistics in Africa. The AUC is committed to working with partners like IOM to develop a framework to support member states as they harmonize concepts and definitions of migration data, and to improve the collection, analysis and dissemination of migration data through future activities. Delegates also discussed ways to promote innovative universal civil registration and vital statistics (CRVS) systems for improved governance. The meeting emphasised the importance of collaboration to identify innovations and good practices on CRVS in the continent, including the registration and documentation of migrants, refugees, stateless persons and other forcibly displaced persons. The European Union and the Norwegian Ministry of Foreign Affairs provided financial support to organize these trainings. Eric Mazango at the IOM Ethiopia Special Liaison Office, Tel: +251 904645879, Email: emazango@iom.int.